"Great fit. Nice design. Perfect for the job (football). Just be careful about the size as the waist band is low so they tend to slide down if it is a super tight fit." "I ordered this item to aid my injured calf. The tights support very well and have really helped with my recovery"
The 2XU Accelerate Compression Tights are designed to reduce muscle soreness and improve recovery with a waistband designed for ultimate comfort ideal for activities where you bend at the waist as the drawstring may be bulky. These tights will sit flat as a base layer and feature a side storage pocket. 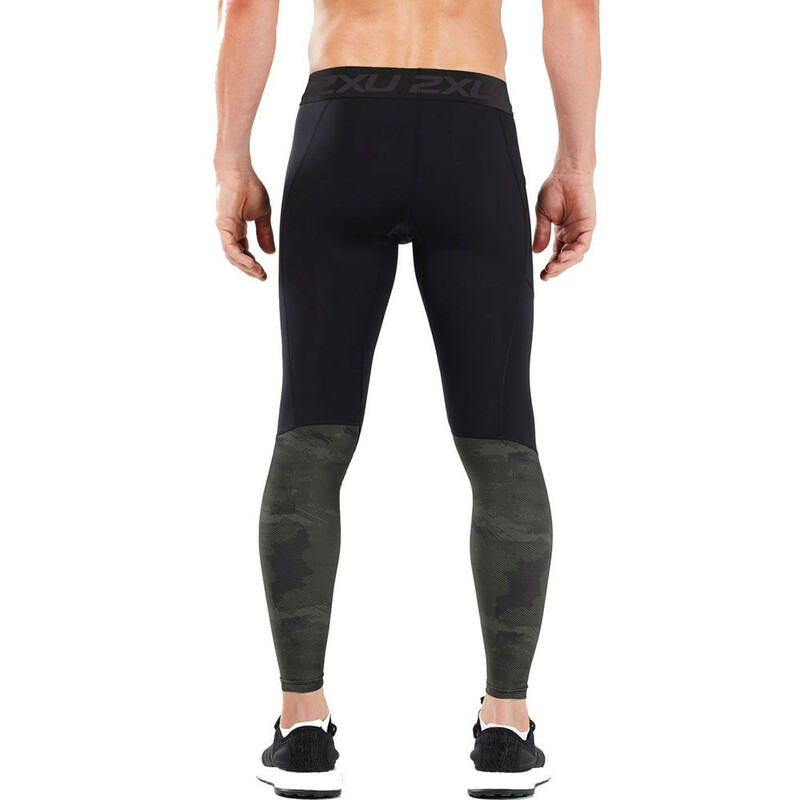 The 2XU Accelerate Compression Tights provides compression support to the abductor, glute, quad, hamstring, and calf muscles to reduce muscle vibration. The front of the shorts are constructed with PWX and 70D fabric. 2XU PWX (Power Weight Flex) fabric features antibacterial, moisture-wicking properties and UPF50+ sun protection. PWX uses the highest grade elastane yarns with invista lycra, featuring superior grade circular knit structure to deliver multi-directional stretch, greater flexibility, unsurpassed power and increased durability. Powerful, performance-enhancing 70D LYCRA offers impressive strength to increase endurance by containing the muscles to reduce fatigue, moisture wicking nylon yarns will keep you feeling cool and dry throughout a hard workout. The back panels are constructed with 105D fabric which is engineered to enhance performance like never before. Offering incredible stabilisation of the muscles, less vibration and fatigue is assured while moisture management properties keep the wearer dry, comfortable and focused. With a 2XU jacquard waistband, it offers the utmost comfort to the wearer, while the flatlock seams will reduce the risk of irritation and discomfort. Rounding off the tights is a side pocket, ideal for storing your small, essential items. PWX (Power Weight Flex) - Delivers multi-directional stretch, greater flexibility, unsurpassed power and increased durability. 70D Fabric - Offers impressive strength to increase endurance by containing the muscles to reduce fatigue. 105D Fabric - Provides incredible stabilisation of the muscles, less vibration and fatigue is assured while moisture management properties keep the wearer dry, comfortable and focused. Multi-Directional Stretch - For a full range of motion. Moisture Wicking Yarns - Keeps the wearer feeling cool and comfortable. UPF50+ Sun Protection - For protection on hot days. Antibacterial - Keeps you smelling fresher for longer. 2XU Jacquard Waistband - Provides a comfortable fit. Side Pocket - Ideal for storage of small, essential items. Fabric (Front) - PWX 70D. 72% Nylon, 28% Elastane. Fabric (Back) - PWX 105D. 65% Nylon, 35% Elastane.